Don’t have a car on your trip to Pebble Beach Resorts? Or want to upgrade that rental car you squeezed into? As a guest at Pebble Beach Resorts, you can reserve a complimentary two-hour Lexus test drive and spin around the Monterey Peninsula in style. Hop into the latest Lexus models and tour around one of the most beautiful places in the world. Drive off into the sunset. Just follow the red-dotted line to explore one of the Most Scenic Drives in America. (The official Pebble Beach app can also feed you fun facts throughout your drive.) The tight handling of your ride will be appreciated as you wrap around towering pines, disappear into tunnels of Cypress, and cruise along craggy coastline overlooking crashing waves and snow-white beaches. Build in some time to pull over and marvel at the inspiring Lone Cypress, investigate the spooky Ghost Trees at Pescadero Point, gawk at the marine life swarming Bird Rock, contemplate the power of the Restless Sea at Point Joe, take a long walk on Spanish Bay Beach, and gravitate toward whatever else steals your heart. Fall in love with the charming European vibes of this quaint village crammed with character and killer cuisine. 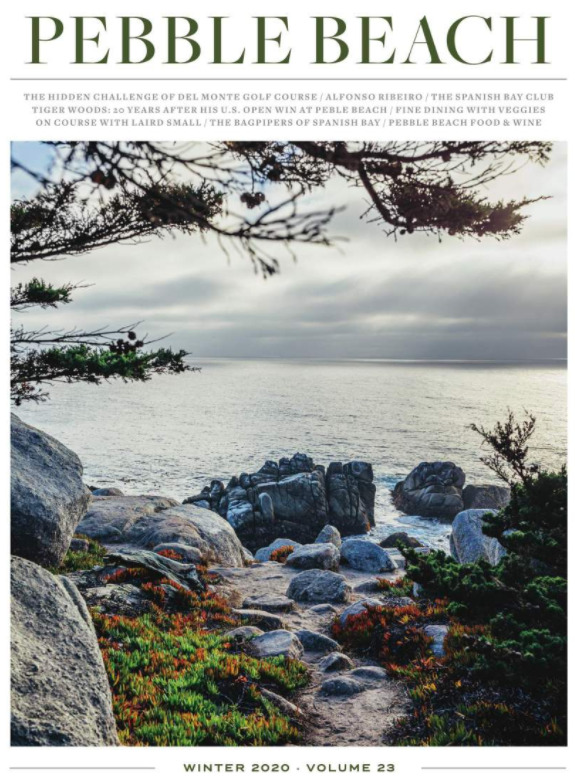 Just outside the Pebble Beach gates, cruise down Ocean Avenue and discover endless shops, art galleries and renowned restaurants before you bottom out at pristine Carmel Beach. Hang a left and crawl along Scenic Road while drinking in the sea, cypress trees and when-I-win-the-lottery dream homes. We just love when the vines change and are decked out in their fall colors! ?? Photo by @mishoobi ? Scenic Road will usher you past the tucked-away River Beach, around the 18th century Carmel Mission, and out to the famed Pacific Coast Highway. But instead of staying on the coast, push inland on Carmel Valley Road. Watch the temperature climb a degree for every mile you drive, as you leave any looming fog behind. A dozen miles later, you’ll hit the rustic Carmel Valley Village, where cowboy meets chardonnay. Welcome to the hotbed of Monterey County Wine Country, where you can stumble into 21 tasting rooms — most hailing from wineries in the celebrated Santa Lucia Highlands — within 1,000 steps of each other. An artisan culinary culture has sprung up as well, uniquely mingling with the Village’s rancher roots. The original capital of California is a favorite setting for stories ranging from John Steinbeck’s classic “Cannery Row” to HBO’s addicting mini-series “Big Little Lies.” Just a short drive from the Pebble Beach gates, you’ll want to stretch your legs and play tourist at the historic movie-set-like Cannery Row, explore the depths of the Monterey Bay at its world-acclaimed (and “Finding Dory” inspiring) aquarium, and grab a bread-bowled clam chowder while wandering Fisherman’s Wharf. Looking for a longer oceanfront drive? Head north on the Pacific Coast Highway and whip around the crescent-shaped Monterey Bay toward Santa Cruz. For seafood lovers, a pit stop at Food Network favorite Phil’s Fish Market in Moss Landing is a must. Detour to toasty Capitola Beach, accented by its unmistakable fluorescent hotel suites, before winding along the coast to Surf City, USA, and legendary Santa Cruz surf spots Pleasure Point and Steamer Lane for spectacular spectating. If you are continuing your trip to San Francisco, spend the extra hour to drive up the Pacific Coast Highway and take in Davenport’s Swanton Berry Farm and Shark Fin Cove, Ano Nuevo’s belching elephant seals, Pescadero’s picturesque Pigeon Point Lighthouse and Half Moon Bay’s expansive clifftop beauty. Choose to drive south from Pebble Beach and you’ll feel like a stunt double for a car commercial. This stretch of twisting, tight-roping Pacific Coast Highway perched high above the Pacific Ocean is perhaps the most filmed in all of cliff-swept California. Cross over the shapely Bixby Bridge, hunt for the purple sands of Pfeiffer Beach and take a where-is-that!?! selfie in front of the aqua McWay Falls shortly after emerging from a trail of towering redwoods. Big Sur is hiking and camping, one-with-nature paradise. Another memorable option is to save your steps for a 7-mile loop through the cypress trees and dramatic coastline and coves at Point Lobos in Carmel Highlands. What is a must-see stop for you when you visit the Monterey Peninsula?